Learn How To Reduce Belly Fat! The best supplements for building muscle and losing fat are Orange Triad, Protein, Creatine and Jack3d. If you’re just starting out and need a general stack, this would be it. It includes the majority of what you’d need to build muscle and lose fat. Orange triad is a blend of multi-vitamins, minerals and a whole assortment of other goodies. Most people don’t eat enough variety to get all the vitamins and minerals they need. Orange Triad will help. The label tells you to take 6 tablets a day but the average person starting out won’t need so much. You can try 2 tablets a day, 1 in the morning and 1 at night. Check out the label and see for yourself why this is different than all the other multi-vitamins on the market. We’ve said time and time again that protein is needed for building muscle and losing fat. Higher levels of muscle mass increase the fat burning properties in a person’s body. Without protein, there is no muscle. Without muscle, you become a stick. When you hit the gym hard, you tear apart your muscle fibers. If you don’t get an adequate amount of protein, you won’t have enough in your system to help your muscles heal. Without adequate protein in your system, you’ll always feel hungry. Instead of eating something healthy, you’ll binge on your favorite cravings and pile on fat. To promote fat loss and to help your body lose fat, eat more protein. 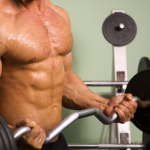 Creatine monohydrate is very cheap and very effective. It has been used by bodybuilders for ages and has awesome effects for building muscle and losing fat. An increase in creatine means an increase in energy. An increase in energy equates to working harder at the gym which helps you burn more calories. You’ll end up building more muscle and losing more fat. 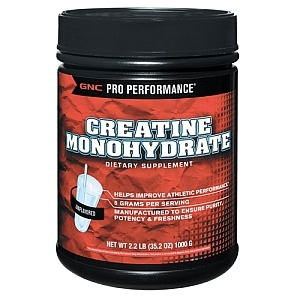 Here is a great selection of Creatine Monohydrate. Jack3d is one of the most popular pre-workout supplements on the market. Due to the 1-3 Dimeth ban, Jack3d changed their proprietary blend. Don’t get us wrong, it still works and is still one of the best pre-workout supplements on the market. This will get you in the zone to give 100% at the gym. It also contains caffeine which speeds up metabolism and has a thermic effect on your body.